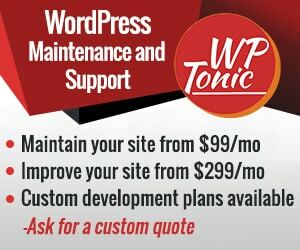 WP-Tonic offers premier SEO services for membership WordPress websites built on a variety of LMS (learning management system) platforms. Your journey to solid rankings begins with a comprehensive SEO audit. 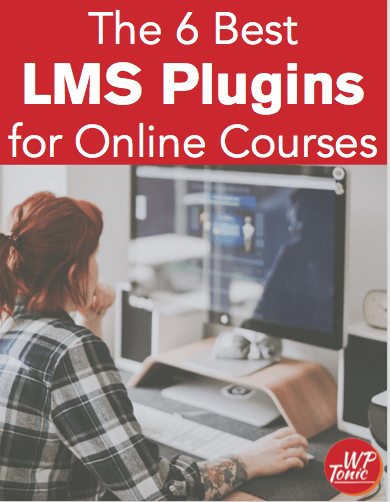 You’ll get a detailed report on the areas of your WordPress-powered LMS website that need to be fixed, along with a clear strategy detailing how those changes will be made (and why). Our team follows SEO best practices as outlined in Google’s quality guide. We believe in working with you to make sure your website delivers the best possible results for your visitors. Many SEO companies use keyword stuffing, black hat blog networks, shady backlink strategies, and other forms of gray hat and black hat SEO. “Black hat” is SEO terminology that simply means “not recommended by search engines.” These techniques often explicitly go against what major search engines, like Google and Bing, recommend. These unsavory tactics can do more harm than good to your website in the long run. Your website will be optimized using only white hat techniques (“white hat” simply means “recommended by search engines”). At WP-Tonic, we use a holistic, white-hat approach to SEO, and we tailor our services specifically to LMS-based membership websites built in WordPress. Once we’ve done our work, your website will not only be optimized for search (following the strategy we recommend), but it will be optimized using white hat techniques that are sustainable in the long run. At WP-Tonic, we pay close attention to what Google and the other major search engines value, and we make sure that your membership website aligns with the same values. We start with an SEO audit of your website. This tells us where you’re at right now and what steps we need to take to get you ranking higher on all major search engines. Unfortunately, there’s no one simple answer for how long it will take to fix or improve your SEO, but we’d love to talk to you, take a look at your website, and give you a clear idea of what you need to do to get where you want to be. Can You Guarantee I Will Be #1 on Google? If anyone ever guarantees you’ll be #1 on any search engine — run. Search Engine Optimization (SEO) is a moving target, and Google updates their algorithms several times per week. Google recently announced that machine learning is a major part of their search algorithms, meaning not even Google employees know everything that goes into individual rankings on a day-to-day basis. Most SEO consultants agree there are at least 200 Google ranking factors that go into search rankings. Only a handful of these have been publicly confirmed by Google. SEO changes on a continuous basis. If your SEO consultant guarantees a #1 ranking, they have no idea what they’re talking about. SEO companies that use shortcuts to improve your ranking can actually hurt your business in the long run by earning you a penalty and ensuring you won’t rank in the future. We don’t guarantee a #1 ranking — the reality is that no one can. What we do guarantee is that we will use SEO best practices to improve your rankings. This ensures that your rankings stay solid as time goes on. We help you make SEO improvements for humans, not machines. Fill out the contact form below and give us some initial details about your site. We will contact you for more details and schedule a site audit. Give us as much info as possible about your past SEO efforts and what you are doing now — this ensures we’ll be able to give you a more accurate idea of what your site needs, what it will take to get your site properly optimized, and a reasonable timeframe for your site to begin to rank the way you want it to. We Can’t Wait to Speak to You!